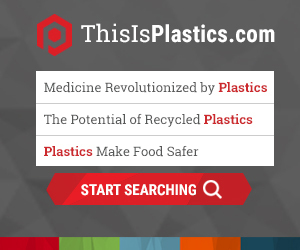 Project Passport, developed by a work group in the Food, Drug, and Cosmetic Packaging Materials Committee (FDCPMC), is a collection of resources, available free as a service to the industry, that provide companies with a more effective way to communicate product safety and compliance information about packaging raw materials, components and articles moving through the food supply chain. It creates a recognizable and adaptable system whereby regulatory information can be transmitted to buyers, processors, brand owners and officials. This document includes an introduction to Project Passport as well as: 1) a form for declaration of compliance, 2) instructions that provide detailed context for the form and 3) interspersed 'quick guides' to provide added clarity on the instructions. The declaration of compliance form can also be downloaded by itself as a fillable document (Microsoft Word .doc file). The form is generic by design such that it can be adapted to different products in various jurisdictions. This guide identifies our recommendations regarding the disclosure to downstream customers of major food allergens and gluten that may be present in food contact articles. Read the Good Manufacturing Practice (GMP) Guideline for the Plastics Food Packaging Supply Chain, which serves as a general reference tool for companies and facilities throughout the plastic packaging supply chain, from resin manufacturer through packaging converter. This document does not establish a GMP program that would be appropriate for any particular facility. Rather, this document serves as a guide for topics and areas that should be considered during development of a GMP program.